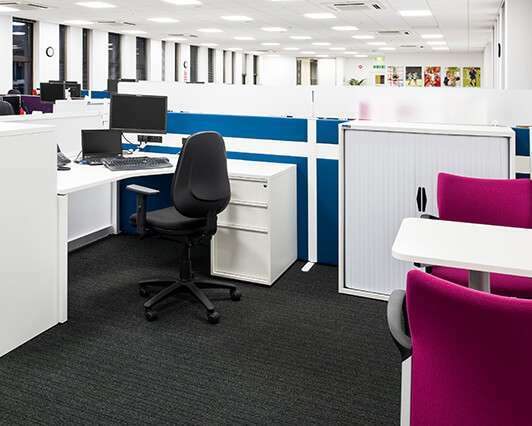 As part of your project we will work with you to find the perfect loose and fitted furniture solutions for you and your staff. 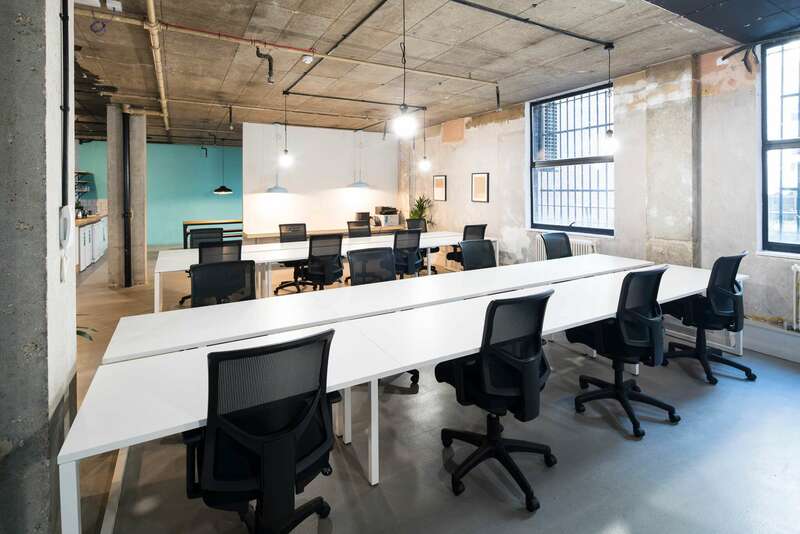 With the help of our in-house experts and industry partners we have a huge range of resources and showrooms available for you to peruse. Appearance and functionality are both important when choosing your furniture. Some items will need to integrate with IT systems and meet ergonomic requirements. 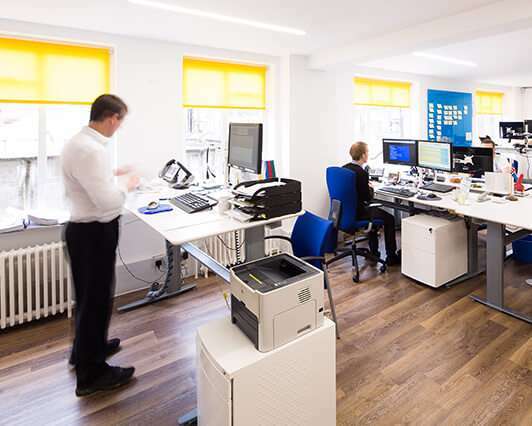 Advances in technology mean that we now work in different ways and have flexibility as to where in the office we work. 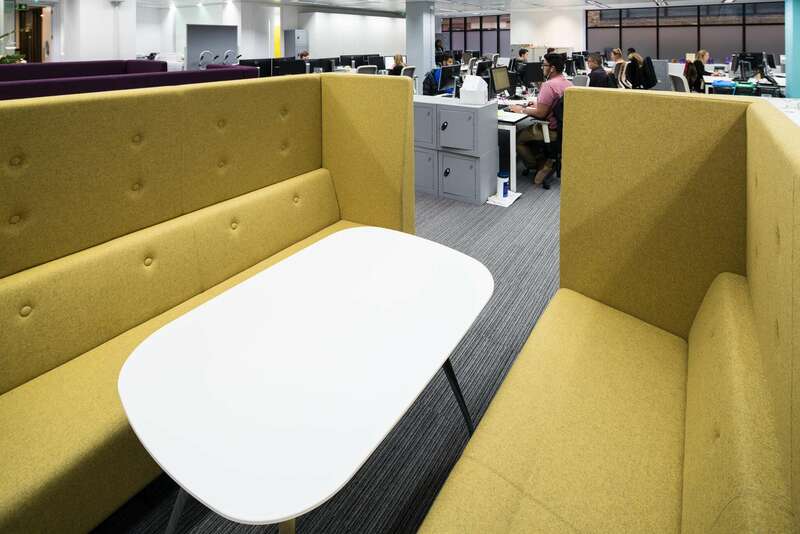 Your office furniture should adapt to your requirements, so our solutions include flexible furniture that can act as a quiet zone or an informal meeting room. 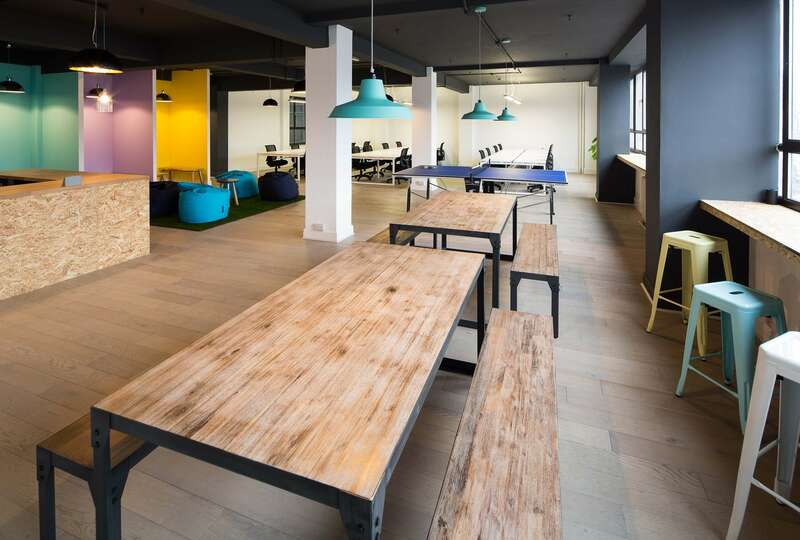 We create zones that suit your culture and staff; places to concentrate, places to meet and places to relax and enjoy lunch. 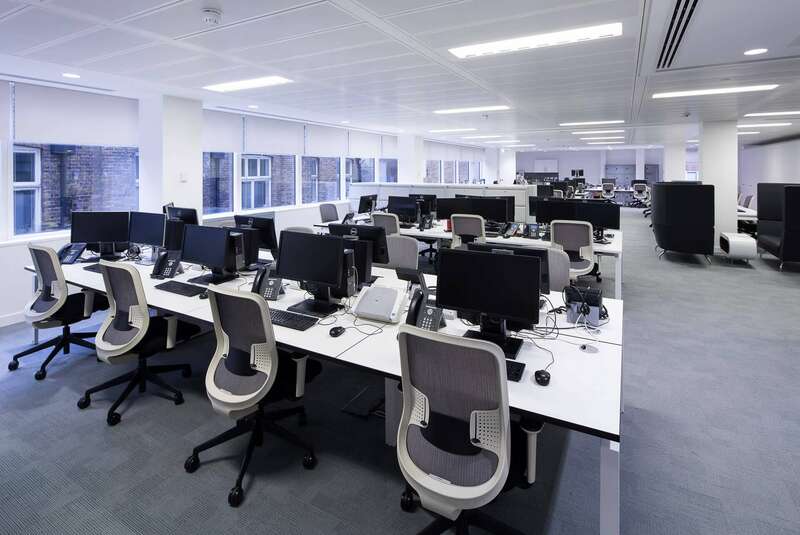 These various uses require different types of office furniture. 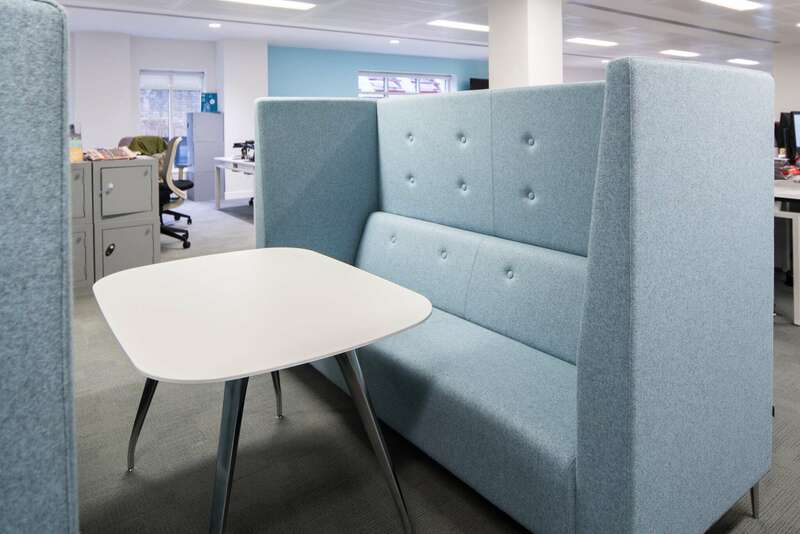 With our vast experience, we will make practical furniture suggestions for your organisation. 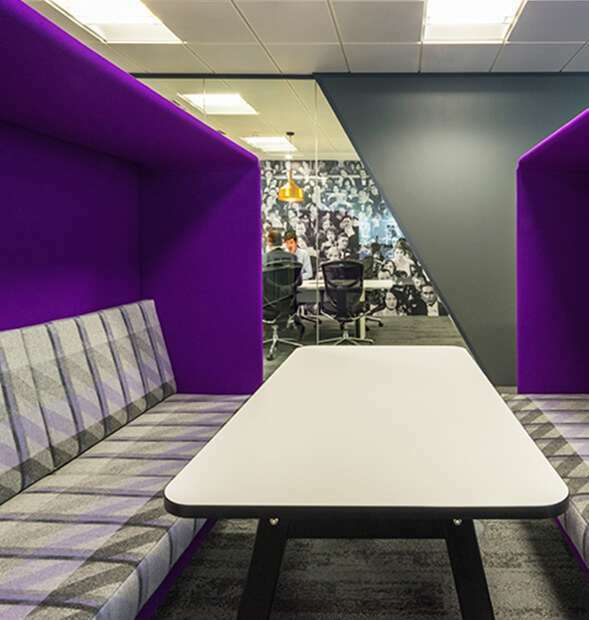 When nothing fits the bill, we can design and manufacture bespoke solutions in-house for that extra ‘wow’ factor. We design and manufacture reception counters, washrooms and fitted storage. 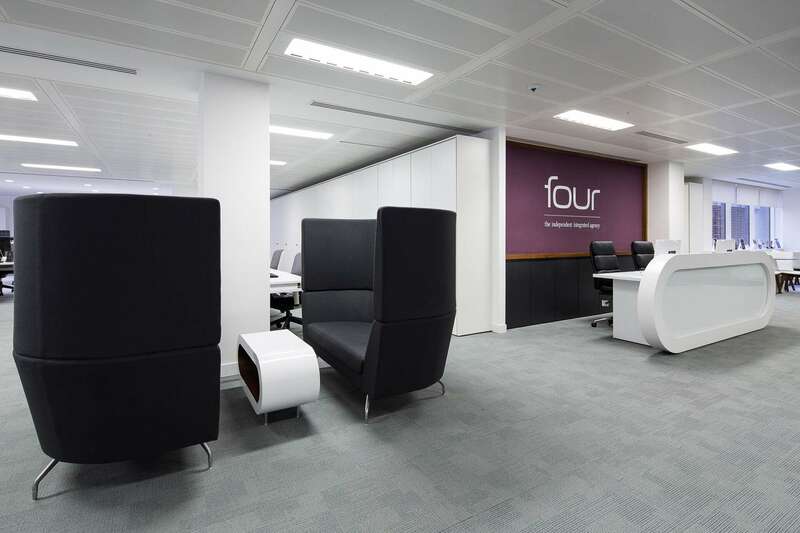 Some areas may require bespoke furniture created – for example a statement piece for the reception area to give clients a great first impression. We also manufacture all our fitted storage – StorageWalls are space efficient and can double up as room dividers between departments. 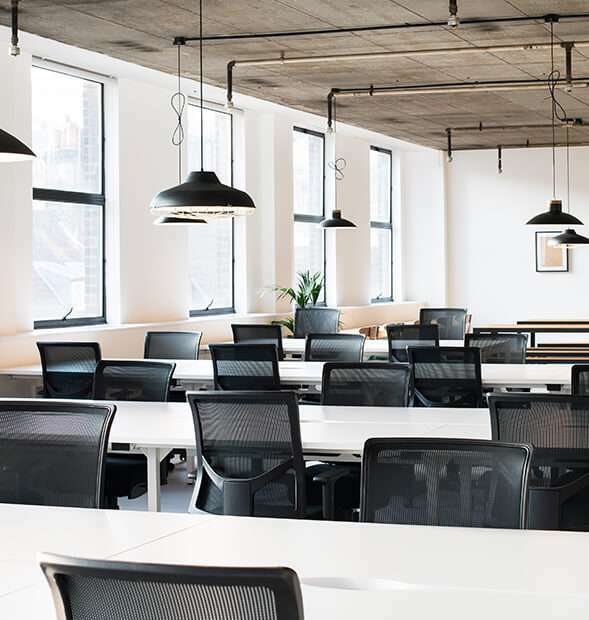 Tambour doors can also save space and may prove to be a better solution in high traffic areas like corridors where hinged doors may impede movement. 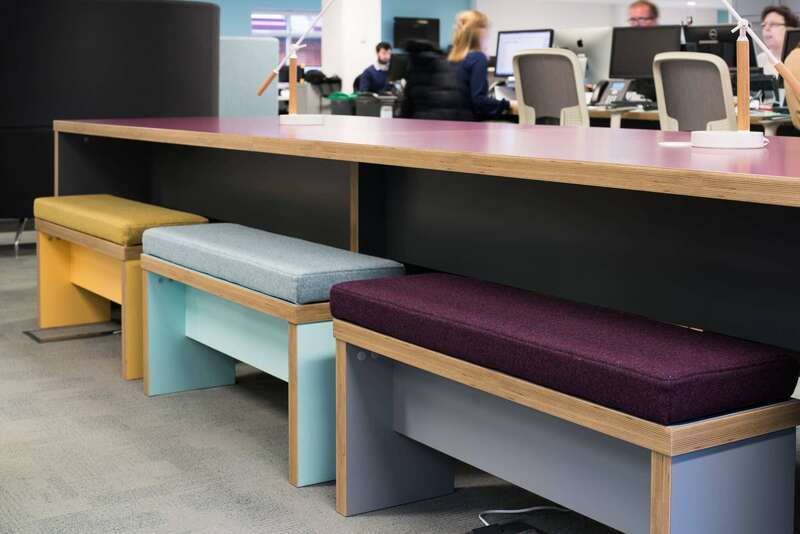 Sit-stand desking has become a trend in workplaces over the last few years- and with good reason! Read on to find out if you should adopt this approach. 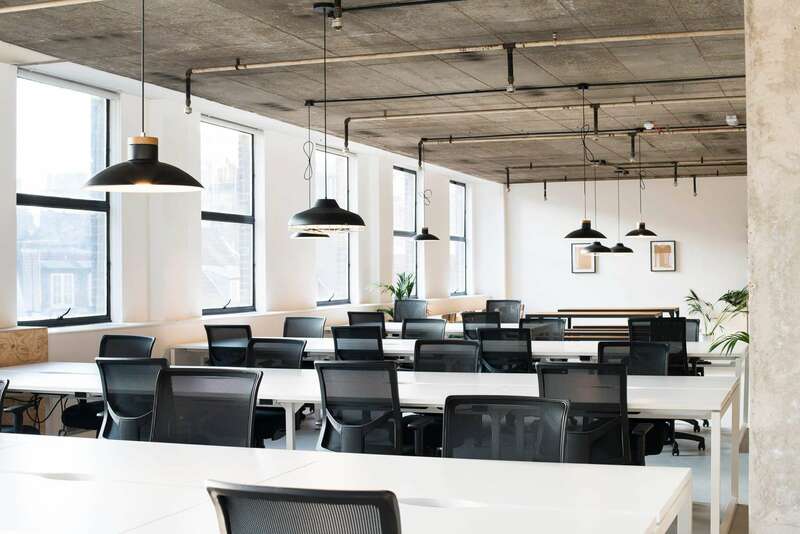 Hot desking is an office organisation method that involves multiple workers using a single work station or surface during different time periods rather than giving each worker their own personal desk.